Women in CT want the new Council on Women and Girls to examine a number of key issues including, challenges of aging, child care, pay equity and closing health gaps. Last month, newly elected Gov. Ned Lamont created the Council on Women and Girls, modeled after a similar council started under President Obama, which has been allowed to lie fallow under President Trump. The council will be chaired by Lt. Gov. Susan Bysiewicz, and will include state agency commissioners, as well as the state’s constitutional officers and a handful of legislators. The council’s charge is to plan legislation and policies that work to end gender discrimination. Though Connecticut can be a wonderful place for women, the challenges are marked. • A Community Foundation of Eastern Connecticut study says that in the eastern part of the state, women between the ages of 18 and 34 have a higher poverty rate—18 percent—than any other group in the area. • A Kaiser Family Foundation study says that 38.6 percent of women in Connecticut reported poor mental health status. • The Census Bureau says that by 2035, older adults will outnumber children for the first time in U.S. history. (Middle-aged adults outnumber children already.) Already, over a third of Connecticut residents is over the age of 50. That means challenges in public health policy, housing and transportation. 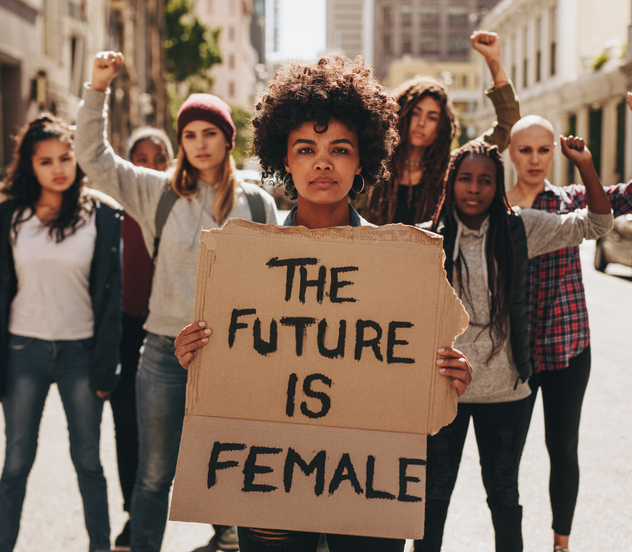 • The National Partnership for Women & Families says nearly 20 percent of Latina women are uninsured and nearly 14 percent of African American women are uninsured, compared to 8 percent of white women. The challenges are many, and the answers may be complicated, but a question on Facebook (what should the council talk about?) yielded a host of places to start, including (but not limited to) examining challenges for members of the aging LGBTQ community; child care services offered during non-traditional hours; gender equality in research; financial aid for older women; closing health and income gaps for women of color; female representation on corporate boards; as well as research-based mentorship and programming for women and girls. Kate C. Farrar, executive director of Connecticut Women’s Education and Legal Fund, suggests the council explore paid family and medical leave, and raising the minimum wage as top legislative priorities in 2019. Connecticut’s minimum wage is $10.10. Studies from the Economic Policy Institute says that gradually instituting a federal minimum wage of $15 would lift the pay for 41 million American workers. Karen Grava, state AAUW president, suggests paying attention to the all-important issue of day care. A report from New America said that the average day care costs in Connecticut runs about 28 percent of the average household income (and 103 percent of the household income of a minimum wage worker). “It is very expensive—so expensive that some mothers quit working,” said Grava. “I believe spaces for infants, especially, are hard to come by, too. And of course, few places take infants. I am a mother who left her babies at eight weeks. I was lucky to have a place I trusted. But when the second child came, the bill took nearly all of my take home pay. I don’t think that has changed. In fact, this is an opportunity, said Karen Jarmoc, president and CEO of Connecticut Coalition Against Domestic Violence, to address long-standing issues around women and girls. “We want to be sure there is a sound body of women with voices around these various constituencies,” and that the state can move forward in policies that benefit women and girls, said Jarmoc. We are, after all, nearly 52 percent of the state’s population. It might be a good idea to pay attention to us.